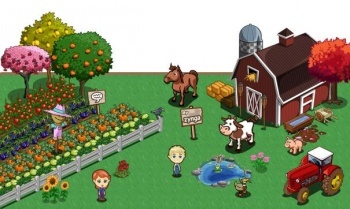 Zynga CFO David Wehner has left the troubled social game developer for a position at Facebook. David Wehner, who joined the social game developer in 2010 replacing Mark Vranesh, has left Zynga to take up a role at Facebook. Replacing Wehner is Mark Vranesh, whose 2010 demotion to Chief Accounting Officer has been reversed. "This is a role [Vranesh] knows well," said CEO Mark Pincus in an official statement. "He was our CFO during our rapid growth as a private company." Pincus claimed that the changes - which included a reshuffle of several senior jobs - came at just the right time, as the company is about to position itself for "long-term growth" and the senior team he now has will help achieve that growth. Pincus wished Wehner well. "Dave provided great leadership to our financial team over the past two years," Pincus said, "helping guide the company's transition from startup through IPO." You may remember that Zynga's plummeting share price since the IPO resulted in allegations of insider trading. Wehner was one of those who did well from share sales before the crash, netting $4.6 million from his sale of 386,000 Zynga stocks. Pincus also reaffirmed the financial projections offered in Zynga's latest financial report. That report included hints of a cost reduction plan expected to generate $15 to 20 million in savings, and which meant the reduction of Zynga's workforce by 5%. If Anonymous is to be believed, the plan also includes relocating development jobs to India.